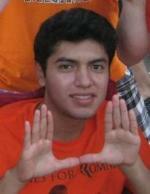 Alex attended the University of Miami for political science from 2009 until 2013. During his time here, Alex began research activities with professors and ultimately gained an interest in doing political science as an academic career. As he graduated, Alex accepted an offer for the University of Wisconsin-Madison’s Ph.D program to study American politics, and is currently a graduate student there. 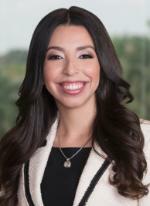 Rahysa Vargas is an Attorney in Kelley Kronenberg’s Miami office focusing her practice on First Party Insurance Defense, Property and Casualty and Complex Commercial Construction Disputes and Business Transactions. Prior to joining the firm, Rahysa worked as an Associate Attorney representing clients in the areas of Personal Injury, Mass Torts, Medical Malpractice claims, Workers’ Compensation claims and Longshore and Harbor Act based claims. Rahysa earned her Bachelor of Arts degree from The University of Miami and went on to earn her Juris Doctor degree from Nova Southeastern University, Shepard Broad Law Center. While attending law school, Rahysa was the recipient of the Student of the Year Award along with the Stephanie Aleong Impact Award and the Dean’s Award for Leadership and Service to the Law Center. She was nominated for the Larry Klevitch Service Award, and her community service projects were nominated for Service Project of the Year. While obtaining her law degree, Rahysa served as the President and Vice President of the Student Bar Association and was an active member of the Pan Student Government and Student affairs Faculty Committee. She was an active member in the Nova Trail Association and was an Octo- finalist in the Buffalo Niagara Mock Trial Competition. Rahysa is fluent in Spanish. 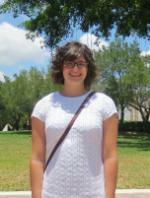 Erin Pelletier graduated from the University of Miami with a BA in political science and German in 2014. She worked in the political science department as a research assistant for Professors Parent and Davidson-Schmich, and served as an intern at local nonprofit organizations throughout her time at UM. She is now pursuing a Ph.D in political science at the University of Wisconsin—Madison, where she will study comparative politics. She is primarily interested in women in politics, and plans to focus on women’s political representation in Sub-Saharan Africa. 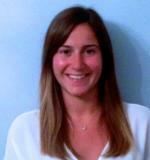 Sophia Suarez graduated from the University of Miami in 2014 with a B.A. in Political Science and Minors in Modern Languages and Business Law. While at UM, she was a Research Assistant for Dr. West and assisted him in the editing and drafting of his book, Ethics in the Public Sector. She is currently pursuing a J.D. at New York University School of Law. I made lasting friendships and connections through my 3 years at the UM Political Science Department. I had my first job as a research assistant working for Professor Uscinski and later working with Dr. West and at the front desk. I graduated with Departmental Honors. I will be attending the law school at the University of Miami beginning Fall of 2014. Katie began working at the University of Texas Medical Branch as a Community Health Worker for its Community Health Program in April 2014. The Community Health Program’s mission is to provide education, direction, and individual support to the chronically ill and underserved communities, empowering those individuals to improve their health. Katie serves as a health educator, advocate and community resources guru for patients enrolled in the program. Katie is in the process of obtaining her certification as a community health worker. She is excited to be able to provide such an important service to vulnerable families who have nowhere else to turn. She moved to Houston, Texas from Miami in January 2014 through a permanent change of station via the United States Air Force where her husband, fellow Hurricane alum, Donovan Hutchins, B.B.A ’10, serves as a Captain. I enrolled at the University of Miami knowing that I wanted to focus my undergraduate studies on Political Science. With the idea of attending law school in the back of my mind, pursuing a Political Science degree allowed me to further develop my understanding of government. In particular, I sought to learn more about relationships between official governmental entities and third-party actors in the domestic policymaking sphere. These interests were covered in great detail in my course entitled “Interest Groups & Lobbying”, taught by Dr. Arthur Simon, who served as one of my key major advisors. “Conspiracy Theories and the Public,” a course taught by Dr. Joseph Uscinski, also offered great educational and practical value. In this course, we learned to analyze large collections of text and summarize key aspects to provide clarity to its purpose, a skill that has immense value in the legal profession. I have been accepted to the following law schools: Boston University, Cornell, Duke, Emory, Georgetown, George Washington, Indiana-Bloomington, Northwestern, University of Miami, University of Texas, and Washington University-St. Louis. This fall, I will be attending the Duke University School of Law. Although I will enter Duke with interests in both corporate law and labor & employment litigation, I embrace the opportunity to explore other possible areas of legal interest. With the skills I developed through my coursework and the mentorship of the Miami faculty, I feel ready to tackle this next academic challenge. As I move on to the next chapter of my education, these skills and relationships continue to provide support for my ambitions and desires of pursuing my goals. At the end of the day, it’s great to be a Miami Hurricane!